Old and new traditions permeate and are an important part of Japan's cultural fabric. There is an art, reason and historical purpose to explain how things are conducted. From tea ceremonies to flower arranging, the following customs will give you a taste of Japanese culture whether you are planning to travel to the country soon or just interested in learning more about it. Formalities are important in Japanese culture. How you address others is a sign of respect and reverence in Japan. This is evident through body language and speech. Greeting someone with a bow, for example, is comparable to shaking someone's hand in the US. In terms of language, Japanese people address individuals according to age, gender and relationship where older people or clients and customers require more formal speech. Unless you have a casual relationship (such as between friends or with a child), adhere to appropriate formal titles by using san or sama after a person's last name. Unlike in the United States, eating at a traditional Japanese restaurant or home often requires you to remove your shoes and sit on tatami or straw floors. It's customary to wait until all parties have received their order before eating, and you'll often hear Japanese people saying, "itadakimasu," a polite phrase showing appreciation as you receive the meal and "gochigochisōsama deshita" as a thank you once you've finished eating. When drinking, filling a friend's glass before yours is considered polite behavior. While finishing every last grain of rice and noisily slurping your meal (noodles especially) may be considered rude in America, in Japan, it's a sign you're enjoying and not wasting your food. To the Japanese, the traditional tea ceremony is an important cultural and ritual art form, which takes a host or hostess years to master. Steeped in Zen Buddhism, it focuses on living in the moment. Students who want to learn the art may also take lessons in poetry, art, and pottery. 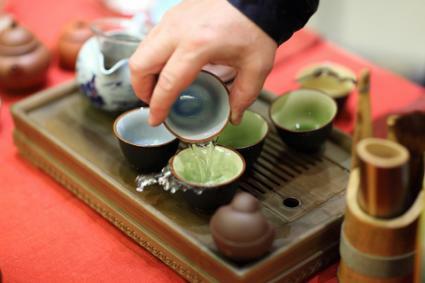 A formal tea ceremony lasts about four hours. Guests must wash their hands and mouths with water before entering the tea room to symbolize purification. They are served a simple meal, two servings of tea, and sweets. Conversation is centered on the utensils and decoration used in the ceremony. Historically, omiyage or souvenirs were brought back from pilgrimages to shrines as a way to pass on religious blessings. Where Americans may bring home souvenirs to remind them of their trip, Japanese purchase food produced in the area they're visiting for friends and family. A good example is gifting chocolate covered macadamia nuts from Hawaii. 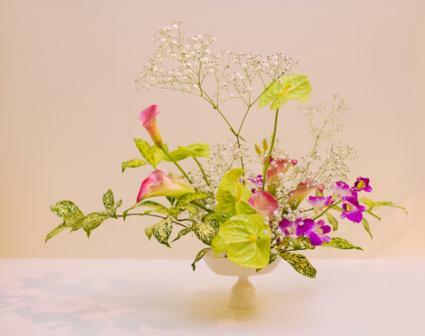 Ikebana is more than just flower arranging. The Japanese people view it as an important religious art form. Although it's been around for seven centuries, it continues to be practiced today. There are about 3,000 ikebana schools in Japan. But all tend to emphasize the importance of simplicity, harmony and nature. 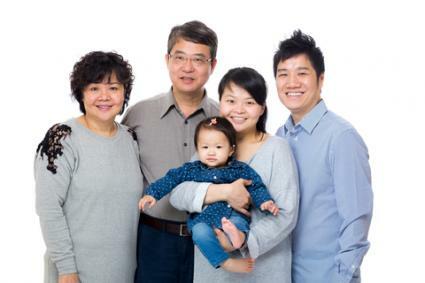 According to the Population Census of Japan, 128.1 million people lived in Japan in 2010. This ranks Japan tenth in terms of population with the United States coming in third. This heavily-populated country consists of a unique mix of new and old cultures. However, while the Japanese work hard to preserve their strong traditions, they've also produced popular contemporary products such as manga or comic books and anime or animation that have taken off in the United States.